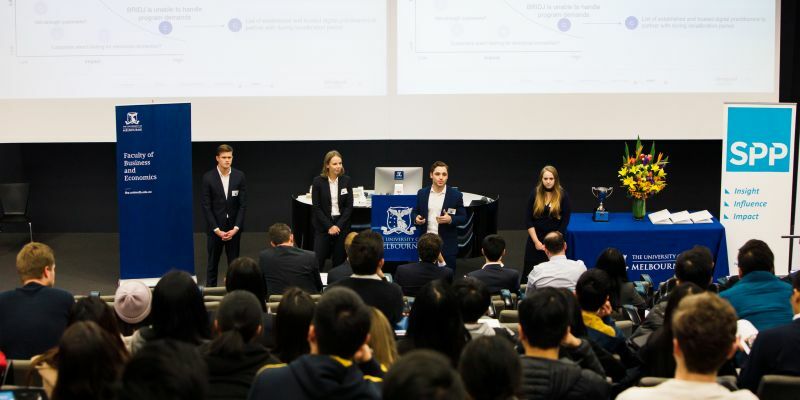 The Bachelor of Commerce Case Competition (BComp) is the largest Management Consulting case competition at the University of Melbourne. Now in its seventh year, it has become one of the key foundations of the BCom experience, and helps produce graduates that are analytical and agile thinkers. The quality of support provided is what distinguishes the Bachelor of Commerce Case Competition (BComp) from other competitions within the Faculty, with experienced International Case Competition alumni providing mentoring and feedback to the participating teams. This makes it a truly enriching experience for the students, with many even deciding to pursue a career in consulting as a result of participating in the competition. The focus of this year’s selection case was the print news media industry, which has been subject to falling revenue and readership as consumers increasingly move away from mediums such as physical newspapers. The participants were tasked with developing a strategic roadmap for Fairfax Media’s Age newspaper, to help them ‘adapt’ and ‘innovate’ in the face of such market trends. Students were then judged on a range of criteria including the innovative nature and viability of their recommendations. - Universal Advisory presenting in the finals. The second case, which was used for the preliminary and finals round, was quite distinctive in the nature compared to what might usually be encountered in a Management Consulting competition. The case was centred on leveraging big data to improve Melbourne’s public transportation system, with participants being able to select which aspect of public transport to focus on and the specific problem they wished to solve. Given the case’s relatively large scope, picking the right problem to solve proved to be just as important as presenting a thorough and creative solution. The case was written under the guidance of the Department of Treasury and Finance (DTF), who also contributed to the competition by providing judges on Case Day. Given that most case companies are corporates and centred solely on generating profit for the client, consulting for Government certainly proved to be a unique challenge for the competitors. However, after a long weekend of case-cracking and mentoring, the top fifteen teams emerged with a range of innovative solutions, from on-demand buses and using automated intelligence to reroute disrupted networks, impressing the judges from SPP, UBS, and DTF. Congratulations must go to Universal Advisory for taking out the win, as well as RIBS Consulting and Sigma Street for their respective second and third place finishes. 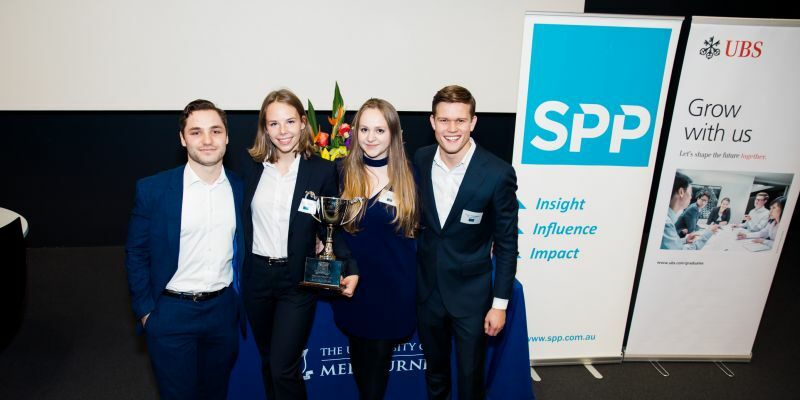 The top three teams were awarded a share of 5000 dollars prize money, guaranteed interviews for SPP’s graduate and internship programs, and the exciting opportunity to interview for the University’s International Case Competition program. For many students, BComp provides a wonderful opportunity to practically apply what they’ve learnt in the classroom. Second year Nathan Wang, of Sigma Street, says “BComp gave me the unique opportunity to deep-dive into both the news industry and public sector, and allowed me to actually utilise my Commerce background to recommend economically sustainable solutions to real-life business problems”. Our recap of the 2018 BCom Case Competition. The BCom Case Competition Organising Committee would like to take this opportunity to thank SPP (Principal Partner), UBS (Major Partner), DTF, and all mentors, workshop presenters and judges, for their generous support of this year’s edition of the competition.